Las Vegas is a bit unusual, to say the least. So, it’s little wonder that people there have decided to mark Nevada’s legalization of recreational marijuana with a marijuana museum. The Cannabition Cannabis Museum, a new museum on Fremont Street in downtown Las Vegas that will house items related to the use and history of marijuana. It also will be home to Bongzilla. What is Bongzilla? It’s a 24-foot high, 800-pound glass bong made by artist Jason Harris. And it is fully functional, with the ability to pack a quarter of a pound of marijuana. Harris created the glass work in Seattle. Bongzilla had to be detached into separate parts and shipped to the Las Vegas museum. Harris told the Los Angeles Times that Las Vegas will become “the new Amsterdam.” For decades, Amsterdam has been home to a culture that is largely accepting of marijuana. Harris, who has a studio in Maui, Hawaii, once was arrested by federal authorities along with Tommy Chong in a sting operation directed at those making and distributing marijuana paraphernalia, according to the Seattle Times. That was 2003. Now, his work is being celebrated in Nevada. Nevada has taken to legalized marijuana in exactly the way people thought it would. The state recently reported that revenue from recreational marijuana sales, which started in July 2017, has so far been 140% higher than expected. Bongzilla and the Cannabition Cannabis Museum are another sign of the rapid acceptance of cannabis in the Silver State. While that might seem odd in Minneapolis, Milwaukee or St. Louis – really any other city in the U.S. – it fits right into a street like Fremont that also features a 120-foot high slot machine, a giant martini glass, and a new Pabst Blue Ribbon sign. Of course, cannabis consumption in public is still not allowed, not even in Las Vegas. Legal consumption can only occur in a private residence. 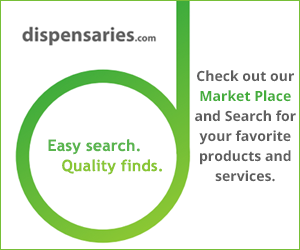 ← What Are The Different Ways To Use Marijuana?